Emergency lock problems require immediate and smart solutions. Being a Mobile Locksmith in Markham is the best solution. It’s the means to great ends. Our mobile teams have everything they need in the van. From the smallest tool to the greatest high tech machinery required in our job, our trucks contain the apparatus for immediate repairs. 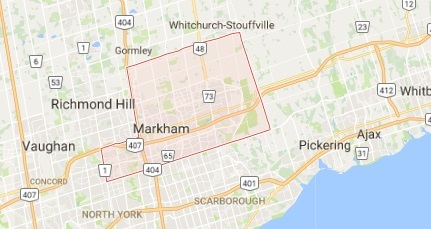 With such good organization, our teams will reach your location in Markham in just minutes and that’s extremely important when issues are urgent. Our mobile locksmith service is offered 24/7 and takes care of any problem. Having the trucks of Markham Lock & Key Service properly equipped is the first step for good services but not the only one. We also make sure that our mobile units are well-staffed. We work with technicians, who are excellent professionals with skills and expertise. We all have tremendous experience with all kinds of locks and the ability to take care of damaged locks at home or in the office, panic bars, door closers and auto keys. Nothing exceeds the capacities and knowhow of our mobile locksmith teams. As a matter of fact, despite our skills we never stop exploring the new lock products in the market of Ontario as well as any changes in the automobile industry. This way, we can be efficient in our services and ensure full satisfaction and confidence to the client. We inspire confidence because we do an excellent job. We offer 24 hour locksmith but that doesn’t diminish the quality of our work and the way we do it. We are particularly careful and with our knowledge every single problem is fixed properly. 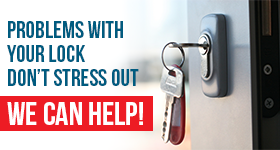 Our Markham Mobile Locksmith teams are with you 24/7 and cover every single need immediately. We make sure locks are replaced and rekeyed accurately and damage is repaired efficiently. With the dedication and experience of our emergency locksmith crews, you should expect nothing less!